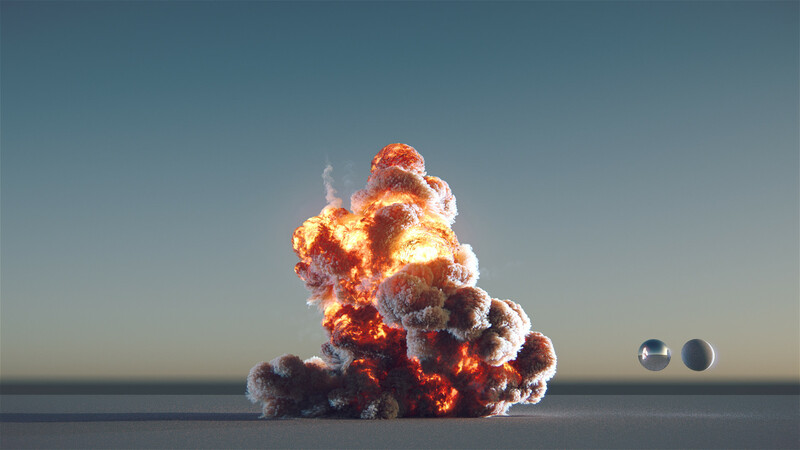 » Show me your render! I'm doing some tests with the Volume2 Shader, I really like multi scatter options and colour control. 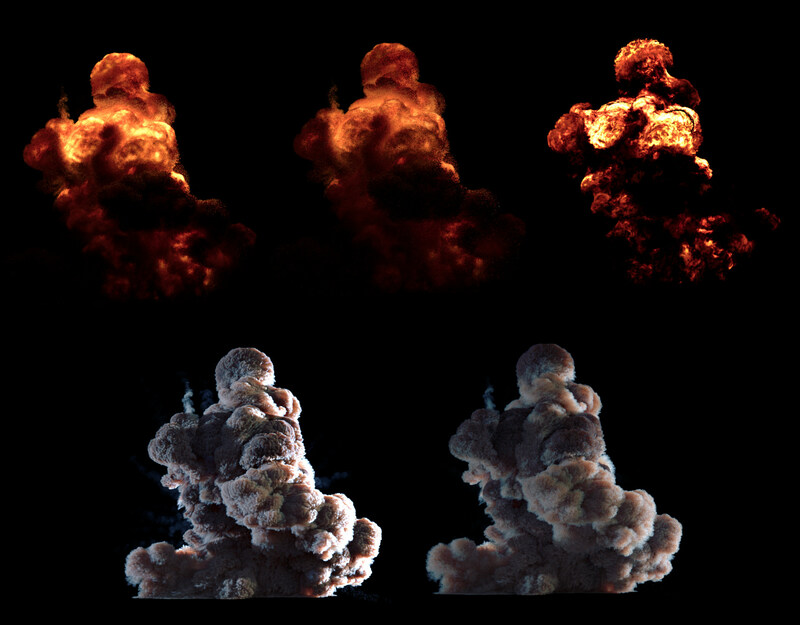 This one is from an explosion sim, but wanted to try a cloud shader ; used 6 volume bounces + multiscatter, and black to white gradient mapped from density to color to fake the "dark edges" effect. 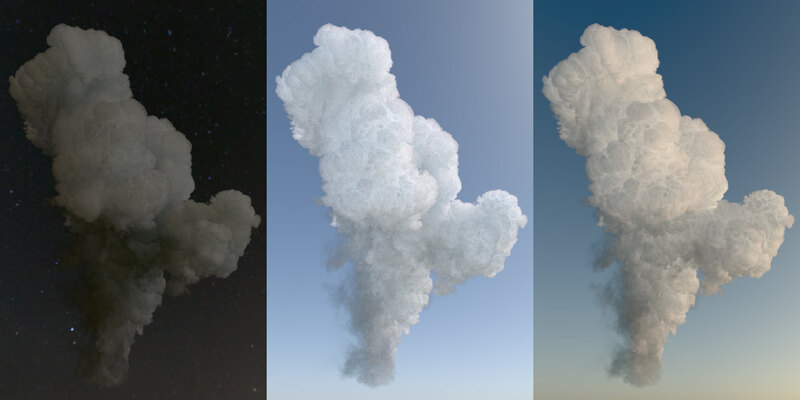 I'm not so sure about best anisotropy settings for clouds ? FX TD / Artist - 3D and Surface Scan Speciaist. As always Paul rocks ! Volume 2 was wondeful on Minuscule 2 show ! the volume emisson should be visible in the Incandescence AOV. Otherwise, all bounces can be easily separated using LPE. Check the AOV and Light Path Expresion sections in the doc. In my version of Guerilla (2.0.33) Volume incandescence emits lights in direct diffuse (don't know if it's a bug or a feature like importance sampling as a mesh light ) Not sure how to isolate that with LPE. I'll Try. The volume incandescence is taken into account as emitted light, like all lights, yes. Normally, using the proper expression you should be able to separate it from the other lights, BUT I've spotted a bug there, which prevents from doing so. A little update on this. If you ONLY want the volumetric direct diffuse from the classic lights, you have to use C<VD><L[^V]> because here the [^V] means all BUT the volumetric emission. 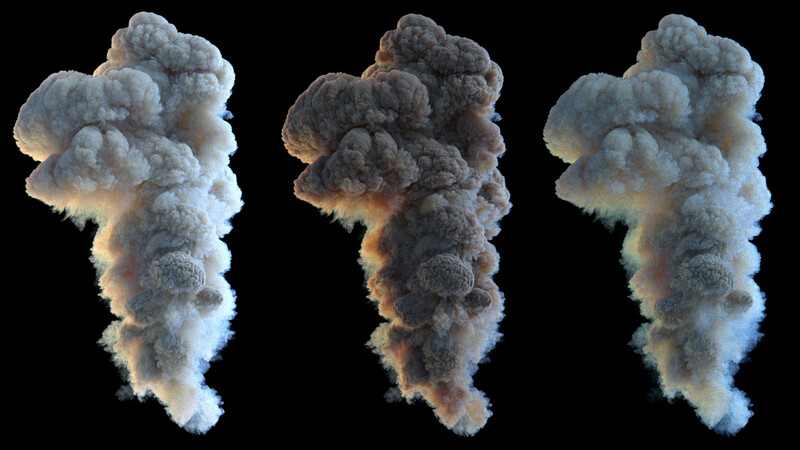 If you ONLY want the volumetric direct diffuse from the volumetric emission, then use C<VD><LV>. Note : the 2.1 uses an optimisation that enables/disables bounces and direct illumination, based on the input LPEs. Unfortunately, the <LV> tricks the system into believing there is no need for bouncing, while the <LV> contribution is only captured through bouncing. 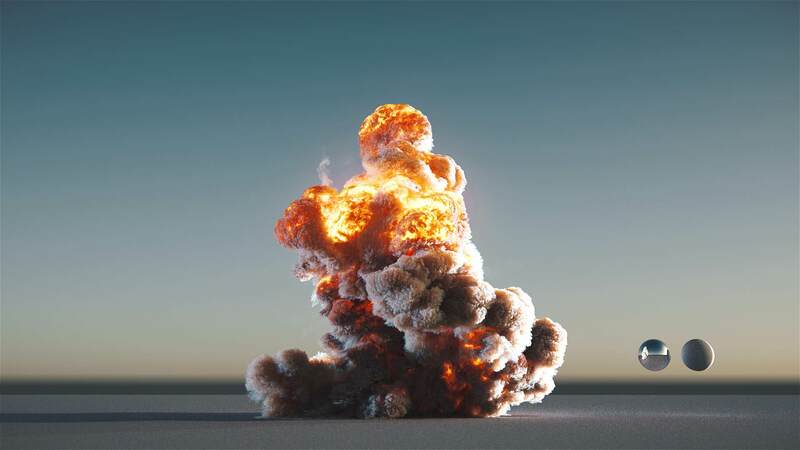 So, there will be missing contributions if you only render the volumetric direct diffuse. As long as you render an AOV that causes indirect illumination, you'll be good. And 2.0 is not affected by this problem. Also made the render 2 times faster tweaking shadows / indirect ray marching step size! Super impressive tests! Thanks for sharing!